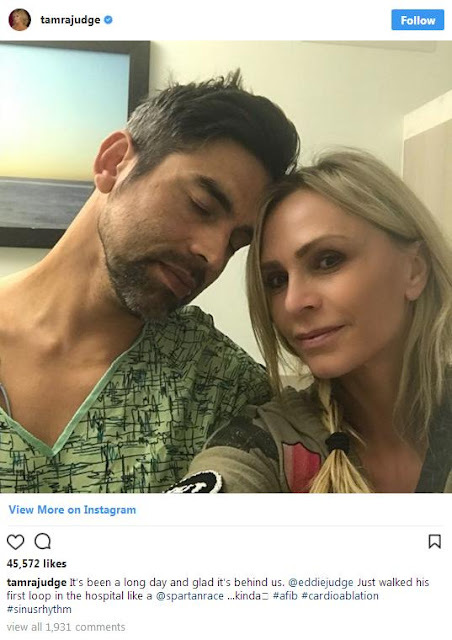 iRealHousewives | The 411 On American + International Real Housewives: Tamra Judge Gives An Update On Her Husband Eddie Judge's Heart Condition! Tamra Judge is giving a health update on her husband Eddie after he went though four heart procedures in four months earlier this year. 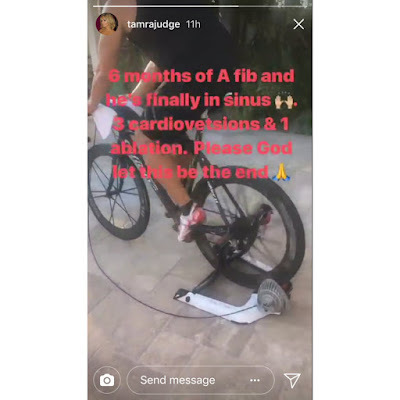 The Real Housewives of Orange County star shared an update in her Instagram Story, which featured a video of Eddie working out on a stationary bike. The text over the video reads: "6 months of A fib and he's finally in sinus. 3 [cardioversions] and 1 ablation. Please God let this be the end." In her Instagram Story, Tamra shared that Eddie had an AFib, which is short for atrial fibrillation, an irregular heartbeat, also known as an arrythmia, for six months. Now Eddie finally has a normal sinus rhythm after undergoing multiple cardioversions and a cardiac ablation, both of which are procedures used to correct heart rhythm problems. That means he can get back to his regular health and fitness routine, too, according to Bravo. 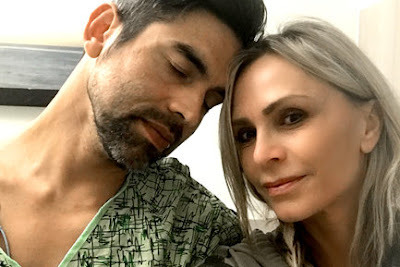 Tamra has previously shared updates on her husband Eddie’s health via Instagram, frequently showing him in a hospital gown or lying in a hospital bed. She also posted a photo of Eddie during a fitness regime revealing he was getting his heart checked. “Getting his ticker ❤ fixed ….please say a prayer for @eddiejudge. On the drive to hospital he said “ I just want to ride my bike again”. You’re almost there baby 💪🏼 Dr. Lee will get your heart back to normal in no time. #cardioablation#AFIB,” she wrote on Instagram. 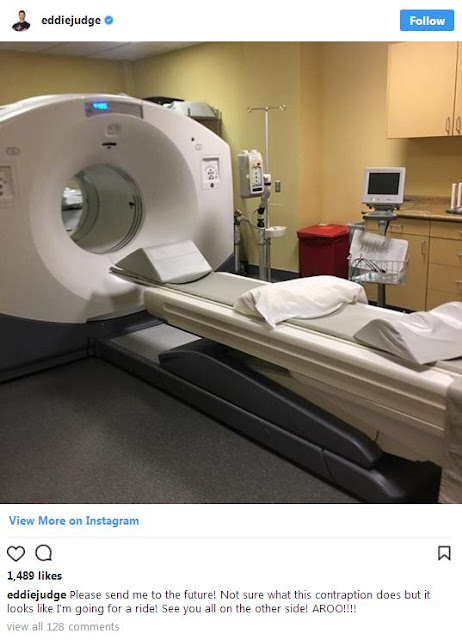 In late March, Eddie shared a photo via Instagram of a hospital room with a large scanner with pillows. “Please send me to the future! Not sure what this contraption does but it looks like I’m going for a ride! See you all on the other side! 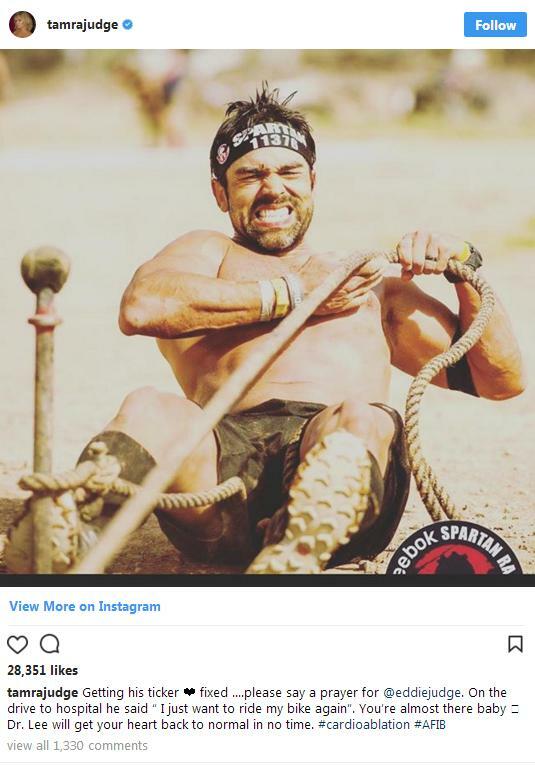 AROO!!! !” he wrote. 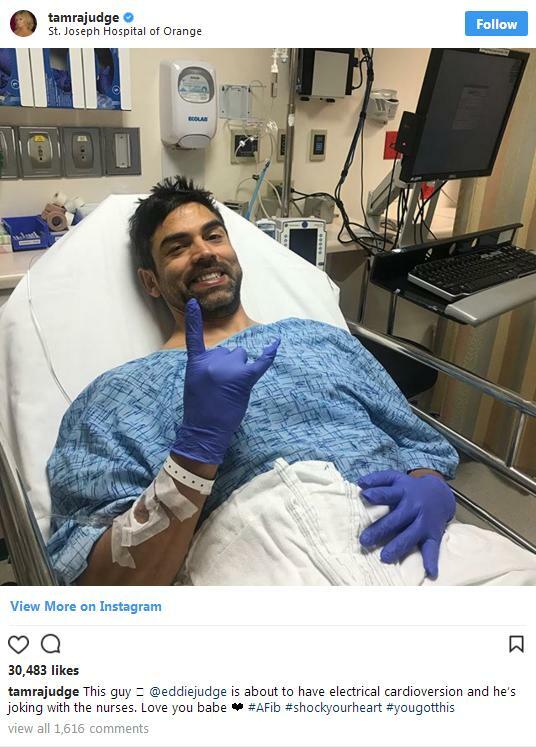 Eddie was hospitalized again in December, however he was in good spirits according to Tamra's Instagram post. “This guy 🙈 @eddiejudge is about to have electrical cardioversion and he’s joking with the nurses. Love you babe ❤ #AFib #shockyourheart#yougotthis,” she wrote.